The House Committee on Natural Resources vowed to fight growing public calls to remove the four dams along the Snake River in Idaho, after hearing testimony from those who say the dams are the "economic lifeblood" of the Pacific Northwest and claim their removal would do nothing to benefit imperiled salmon. The Republican-led committee convened the oversight hearing after a week of especially bad press for dams, in which government agencies, private companies and environmentalists met at the behest of Washington state Gov. 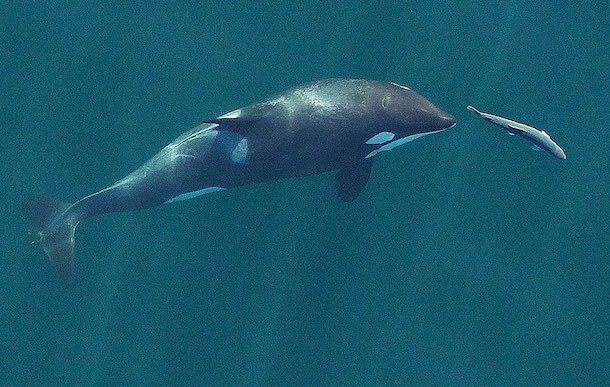 Jay Inslee in an urgent effort to save Southern Resident killer whales from extinction. The biggest problem the whales face is the precipitous decline of the threatened Chinook salmon, the whales' main prey. At a meeting of the Governor's Southern Resident Killer Whale Recovery and Task Force on Sept. 4, many called for the removal of the four dams along the Snake River which winds through Idaho before spilling into the Columbia River in Eastern Washington. This is not a new idea. In 2017, U.S District Judge Michael Simon tossed out the government's plan to help salmon survive the churning turbines, elevated water temperatures and dissolved gasses from the dozens of dams that check the flow of water through the Columbia River Basin. Simon found the government's biological opinion did not go far enough to protect threatened and endangered salmon and ordered the feds to weigh breaching the dams along the Snake River. The hearing Monday, titled "The Federal Columbia River Power System: The Economic Lifeblood & Way of Life for the Pacific Northwest" and held in eastern Washington, was led by Rep. Cathy McMorris Rodgers, R-Spokane, and Rep. Dan Newhouse, R-Sunnyside, who together introduced legislation this past April to prevent the dams from being breached and invalidate Judge Simon's order to increase the water sent over dams to help young salmon make it to the ocean. The legislation passed in the House and awaits a vote in the Senate. McMorris Rodgers said the witnesses invited to testify -- leaders in business and agriculture as well as barge owners and dam operators -- know better how to balance the economic and environmental considerations inherent in running the system of dams than "a judge in Portland" does. "We need to stop the courts from mandating changes not supported by science that harm our communities' jobs," McMorris Rodgers said. "The fact of the matter is that dams and fish can coexist." The first witness to testify, retired U.S. Rep. Doc Hastings, blamed "extreme groups" for claiming there is a difference between hatchery and wild salmon -- a concept that is accepted science. Hatchery managers go to great lengths to avoid genetic contamination of wild fish with those raised in hatcheries, as the latter have significantly lower reproduction rates. Hastings told the committee that salmon do fine navigating the dozens of man-made river barriers they face and cited the example of another wild animal with a drastically diminished population. "I haven't to my knowledge heard anyone suggest that we clear the plains to let the buffalo roam again," Hastings told the committee. Testifying next, Dan James, deputy administrator for Bonneville Power Administration which runs the largest dam on the Columbia, told the committee dams aren't harming salmon. "We continue to post returns that by some measures are near the number before the dams were put in," James said. "Still, we see lots of litigation." That claim is not backed up by government science. According to the most recent numbers from the National Oceanic and Atmospheric Administration's Northwest Fisheries Science Center, 17 distinct population segments of West Coast salmon and steelhead are listed as threatened or endangered. While most of those are currently stable or improving, only a tenth of the salmon that lived in the Columbia River Basin before the dams were built live there now. Terry Flores, executive director of Northwest RiverPartners, a group that advocates for electric utilities, ports and agricultural organizations, claimed the idea of increasing spill over dams or removing them altogether is merely a cynical effort on the part of environmental groups to increase their donations. "It's a false premise but a powerful fundraising tool for these organizations," Flores told the committee. Meanwhile, Kris Johnson, president of the Association of Washington Business, touted the money to be made by offering the cheap electricity generated by hydropower to big companies like Google that have recently set up shop along the banks of the Columbia. "Low-cost power has been a key advantage attracting high tech employers," Johnson said. McMorris Rodgers repeatedly questioned the science behind Judge Simon's order to spill more water over the dams and said doing so would not benefit young fish. Glen Spain, northwest regional director of the Pacific Coast Federation of Fisherman's Association, one of only two witnesses invited by Democrats to testify, countered McMorris Rodgers' argument by saying that Judge Simon's order was based on science that was not yet available when government agencies assembled the biological opinion Simon struck down. "Science moves forward. We need to incorporate -- the judge required us to incorporate -- the best available science," Spain said.